Taste Newbury’s finest Indian curry and tandoori takeaway. Centrally located in Cheap Street, we offer free home delivery*, direct to your door. 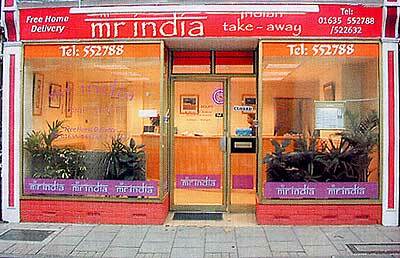 Your delicious Indian takeaway food is just a phone call away. * Within 3 miles radius. We also deliver to locations around Newbury for an extra charge: Chieveley (£4.50), Hermitage (£4.50), Highclere (£4.50), Ball Hill (£5.00), Burghclere (£5.00), Woolton Hill (£4.50), Stockcross (£4.00) and Kintbury (£5.00).